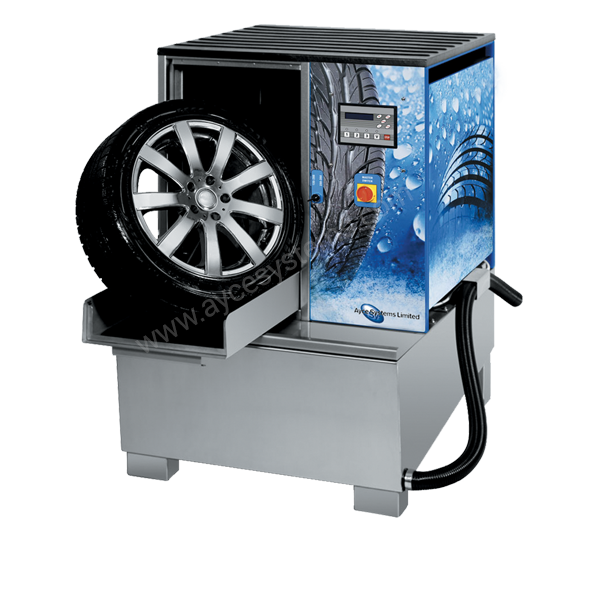 The Ayce Systems alloy wheel washer is a machine which supports servicing of wheels. It is used for process washing of full car wheels, consisting of the rim and the tyre. The efficiency of process washing in the Ayce Systems wheel washer is sufficient for the wheel to be subjected to any servicing activities and meets the necessary requirements in this scope. Using the wheel washer for washing the wheel before servicing activities such as balancing makes the job more precise. This translates directly into safety and comfort of driving. For more information about our Alloy Wheel Washer click the button below to download the print friendly PDF brochure, or if you would like to receive a quote for this system, please click the request a quote button.